Help support Especially for Athletes by leaving reviews on Bestcompany.com for any service you have used. Best Company will donate $2 to Especially for Athletes for every published review. It only takes a couple minutes to leave a review and you can leave as many as you’d like! In the search bar, type in any company that you use or have used in the past (TIP: Think of the companies that you pay a monthly bill to or a service for which you bought a product). For example: your cell phone provider, mortgage lender, health insurance, mattresses, home security, solar, bank, credit card company, etc. Leave a thorough review…..you’re feedback will help fellow shoppers in their research and Best Company will donate $2 to E4A for every published review. 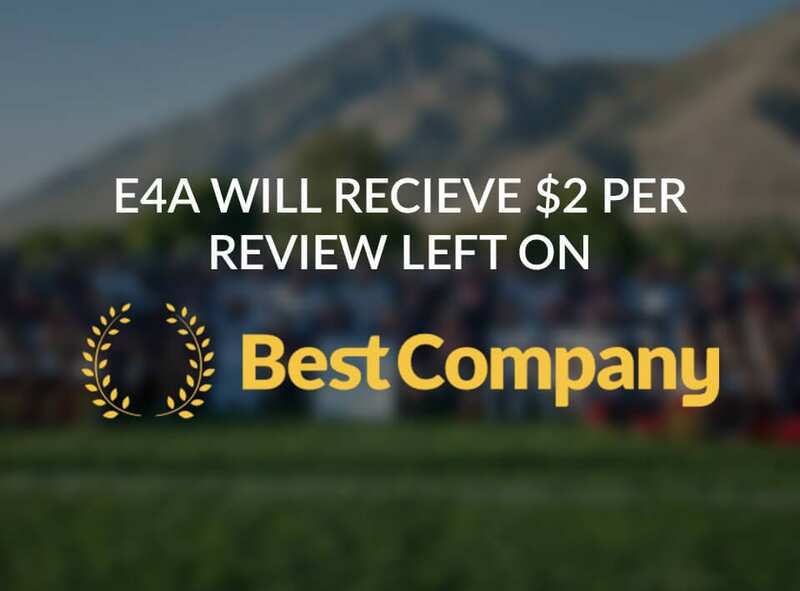 Thanks for supporting Especially for Athletes by sharing your feedback on Bestcompany.com – they are on a mission to become the most trusted review site, period.